Only 150 metres from the Mediterranean shores, Mavera Hotel features an outdoor pool surrounded with trees. Free Wi-Fi is accessible throughout the venue. All the rooms at Hotel Mavera are air-conditioned and include an LCD TV with satellite channels. Private bathroom has a shower and a hairdryer. 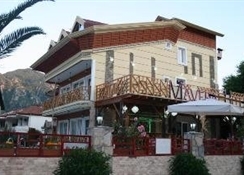 Mavera Garden Restaurant serves à la carte menu option with dishes from the Turkish and Mediterranean cuisine. 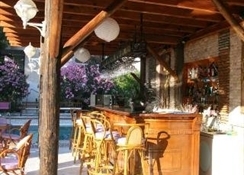 Guests can enjoy their meals and breakfast outdoors by the pool area. 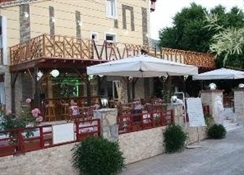 The Lounge Bar is ideal for alcoholic and non-alcoholic beverages and the Coffee Shop is open until midnight. A children’s playground, darts and a karaoke are available on site. You can benefit from room service, laundry and car rental. 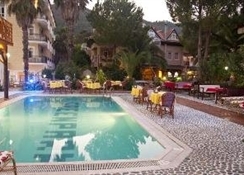 Dalaman Airport is 103 km from Mavera Hotel. A shuttle service can be arranged upon request for an additional fee. Reservation is needed for free private parking.